The 2019 Nissan LEAF looks sporty, stylish and sleek and will definitely turn heads as you cruise around Lakeland FL. Its sloping hood and roofline as well as roof spoiler gives the hatchback especially distinctive look. On base trim, the vehicle sits on 16-inch steel wheels paired with all season tires. The larger alloy wheels are available on upper trims. There are several available features that are worth mentioning, including wind-diffusing side mirrors with power adjustment capabilities, aerodynamic underbody panels, a rear diffuser, halogen headlights with an automatic on-off feature, a locking charging port with illumination and UV solar reduction glass. Come down to our dealership near Lakeland FL and select the style and features that are just right for you. 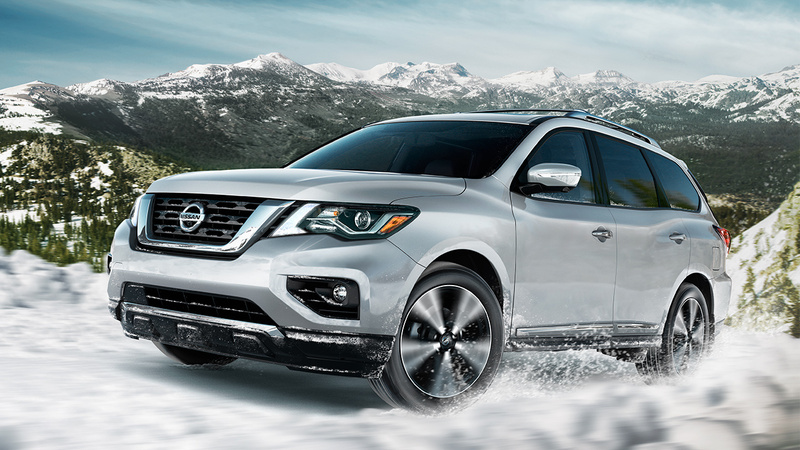 With its gorgeous exterior design and robust and modern profile, the Pathfinder stands out from the crowd. There are several unique styling cues in the Pathfinder including the hood that has a slight dip toward the grille to add strength to the appearance, and a roofline that fades gently into a rear spoiler. The base trim comes with 18-inch wheels paired with all-season tires. Upper trims sit on 20-inch wheels. If you are looking for a stylish and sporty car, look no further! Come down to our dealership near Lakeland FL. The 2019 Nissan Versa is a compact vehicle that is spacious enough to seat 5 passengers and has 14.9 cubic feet cargo capacity. The interior dimensions of the 2019 Versa are front head room (39.8 inches), rear head room (36.6 inches), front leg room (41.8 inches) and rear leg room (37 inches). Available interior features include NissanConnect, SiriusXM Radio (3-Month Trial Access), Apple CarPlay, Android Auto, Hands-Free Text Messaging Assistant, electoluminescent gauges, a trip computer, outside temperature display, service interval reminder, air conditioning, remote keyless entry, remote trunk release and power door locks. Additional features include 4-way manual driver’s seat, 6-way manual driver’s seat, cloth seat trim and a driver’s seat armrest. The Bluetooth Streaming Audio, a Radio Data System and sped-sensitive volume control are also available for you to enjoy. Stop by our dealership today to take a look at the interior of this vehicle. 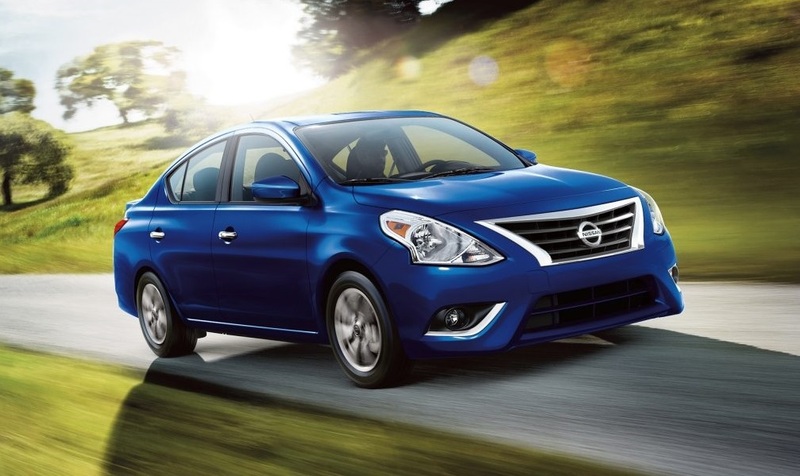 The 2019 Nissan Versa Sedan offers a loads of exciting features including chrome-accented multi-reflector halogen headlights, dual power body-color remote-controlled outside mirrors, a chrome-accented grille, chrome door handles, black door handles, rear tire air deflectors and a rear spoiler (with integrated LED brake lighting). The vehicle sits on 15-inch steel wheels with wheel covers and 15-inch split 6-spoke aluminum-alloy wheels. Its wheelbase is 102.4-inches and overall length is 175.4 inches, width is 66.7-inches and height is 59.6-inches. To learn more about the exterior features, contact Wesley Chapel Nissan. We are proudly serving Tampa Bay FL drivers. 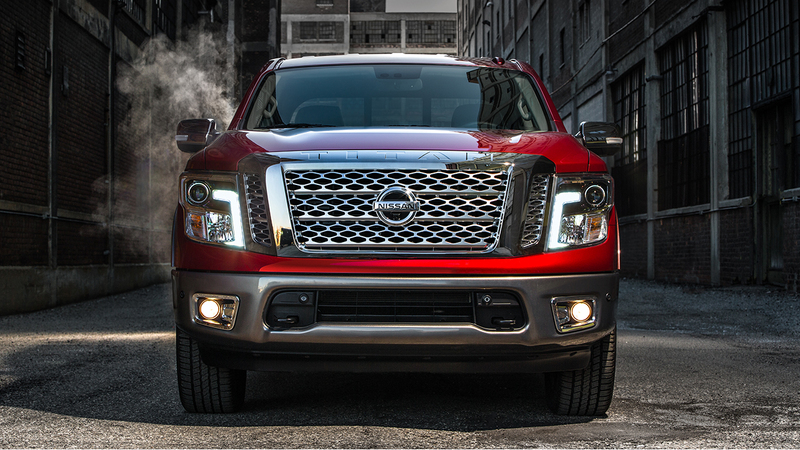 The exterior of the 2018 Nissan Titan comes with a suite of attractive color options, which ensures a customized look. You will choose from Brilliant Silver, Cayenne Red, Deep Blue Pearl, Glacier White, Gun Metallic, Java Metallic, Magnetic Black, and Pearl White. Available exterior features include active grille shutter, chrome bumpers, a chrome-finished front grille, a manual sliding back window, and a dampened assist tailgate. Other noteworthy features include a lockable tailgate, fixed cargo bed tie-downs, removable front aero spoiler, front tow hooks, LED headlights with a Follow Me Home function, and a transfer case skid plate. This vehicle sits on 18-inch silver-metallic styled wheels and has P265/70R18 all-season tires with a full-size spare tire. Come down to your local Wesley Chapel Nissan to learn more details about this stunning vehicle. 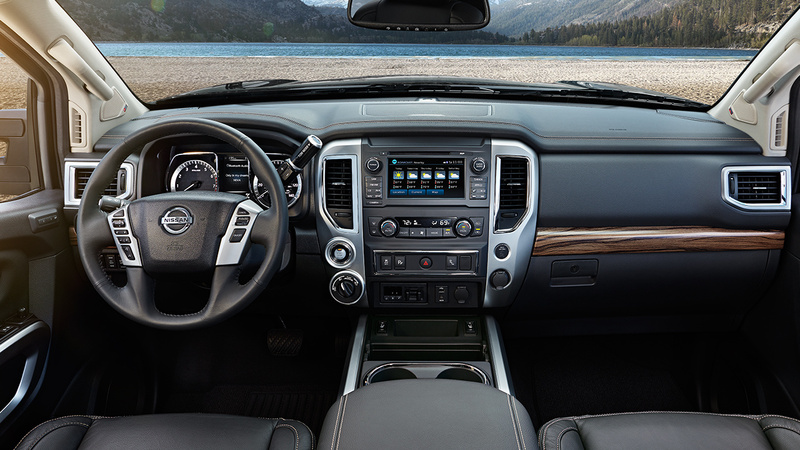 The 2018 Nissan Titan features an optimal blend of technology, convenience amenities and support to deliver a knockout interior punch. You will get a memory driver’s seat, a power driver’s seat, heated and cooled front and rear seats, a massaging driver and front passenger seat, and a rear-seat entertainment system. A built-in infotainment system is standard and styles across the board, giving you the connectivity you need when you are on the road. The infotainment system has 5-inch or 7-inch touchscreen that is vibrant and responsive. If you want even more functionality, you will be happy to know that the system comes with SiriusXM satellite radio, driver information display system, 4G LTE, an auxiliary input, Bluetooth audio, voice command, a USB port, navigation, mobile Wi-Fi, Real-Time Traffic, and Real-Time Weather. 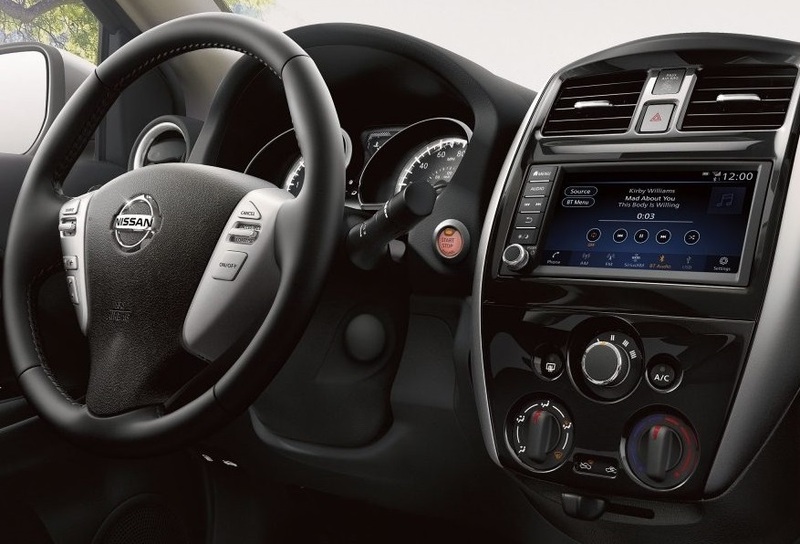 To learn more about the interior features, contact Wesley Chapel Nissan. We are proudly serving Tampa Bay FL drivers. The 2018 Nissan Pathfinder offers well-appointed amenities, convenience features and technology. 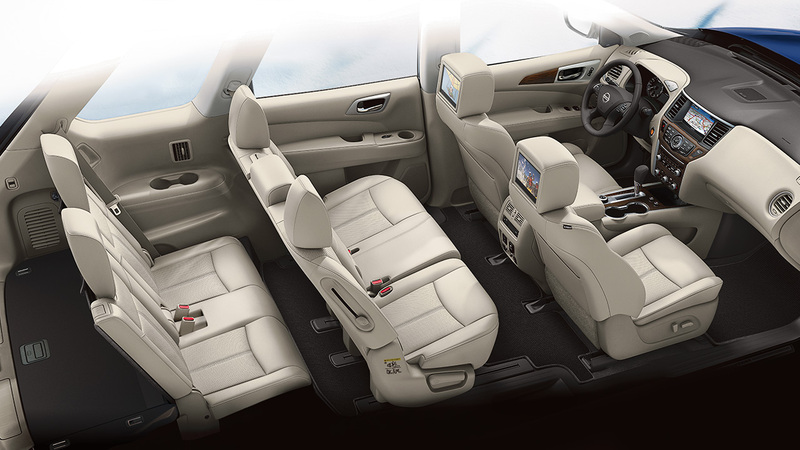 This vehicle is spacious and can seat up to 7 people. Sliding and reclining second-row seats come standard while heated/ventilated front seats are available on the Platinum model. The 2018 Pathfinder comes equipped with the Advanced Drive-Assist Display that has 8-inch color display, dual USB media inputs, and a backup camera. If you prefer an enhanced music-listening experience, get the 13-speaker Bose audio system that features Acoustic Waveguide Technology. The Tri-Zone Entertainment system is another high-tech amenity that enables you to watch movies, play video games, and plug in the laptop. You will also enjoy the panoramic sunroof. With its nice style and rugged design, the 2018 Nissan Pathfinder should appeal to a broad range of buyers. From its powerful grille and the modern front fascia to its distinctive LED daytime running lights, the new Pathfinder has a gorgeous profile and stylish appearance. Available standard features include roof rails and roof spoiler. The 20-inch wheels are reserved for SL model that enables even more powerful road presence while LED headlamps come with Platinum model. You will get the black exterior accents, special Midnight Edition badging and a special set of Midnight Edition wheels if you get the Midnight Appearance Package. The 2018 Pathfinder comes in several attractive body colors, such as Glacier White, Gun Metallic, Super Black, and Storm Blue. To learn about this vehicle’s fabulous exterior features, contact our dealership near Tampa Bay FL.